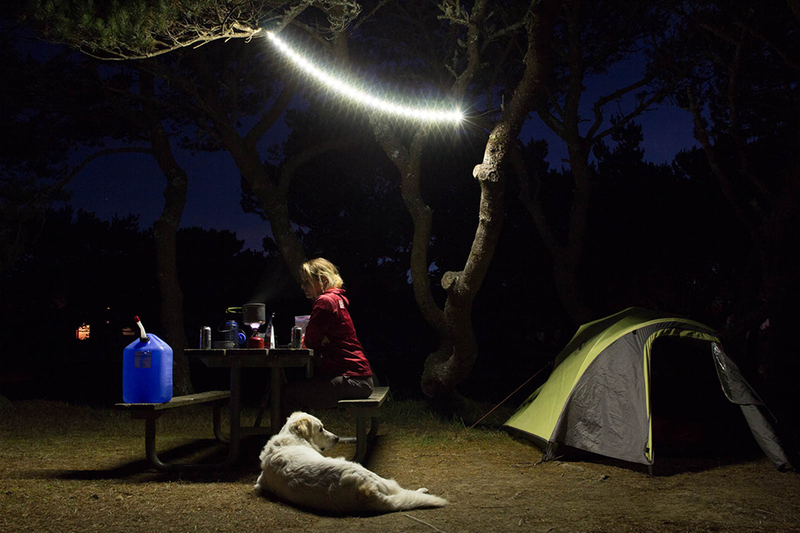 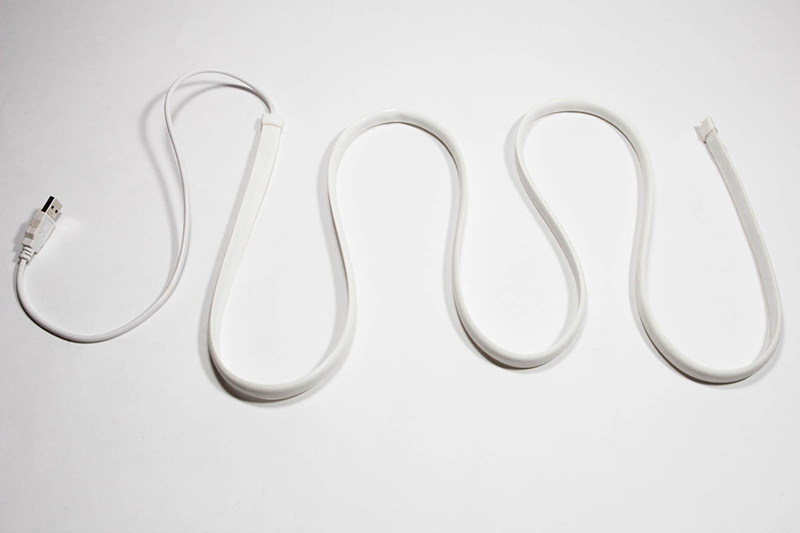 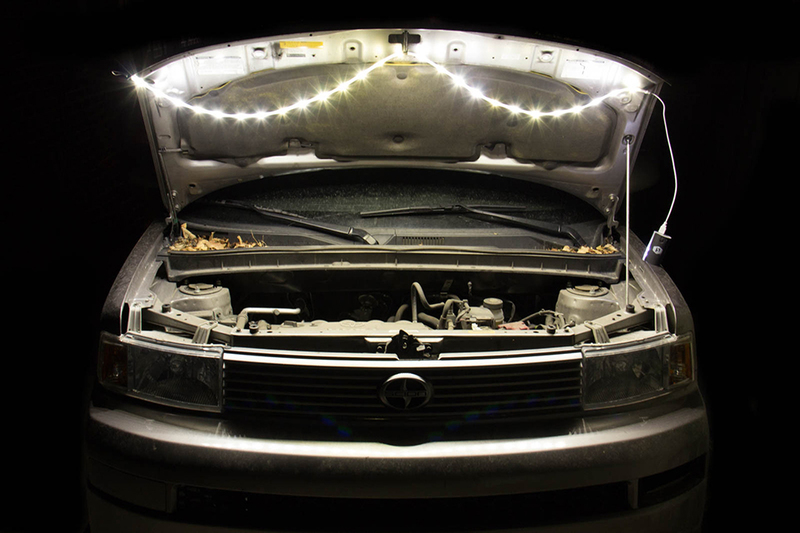 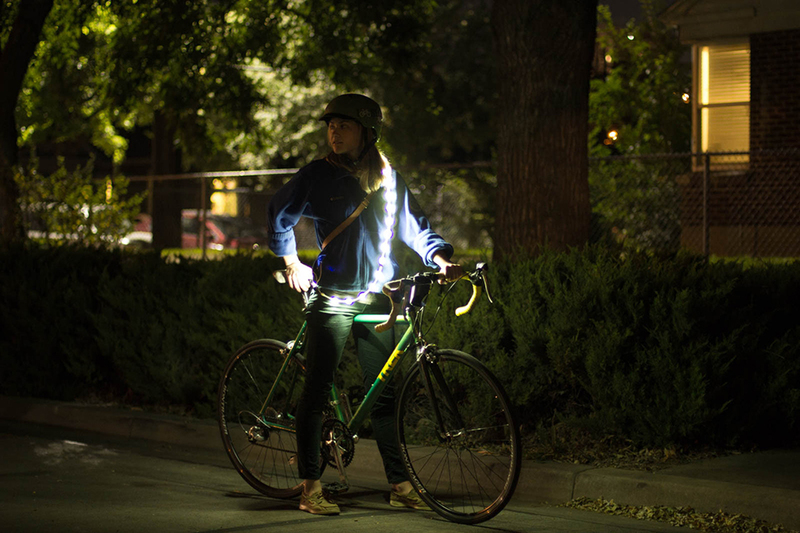 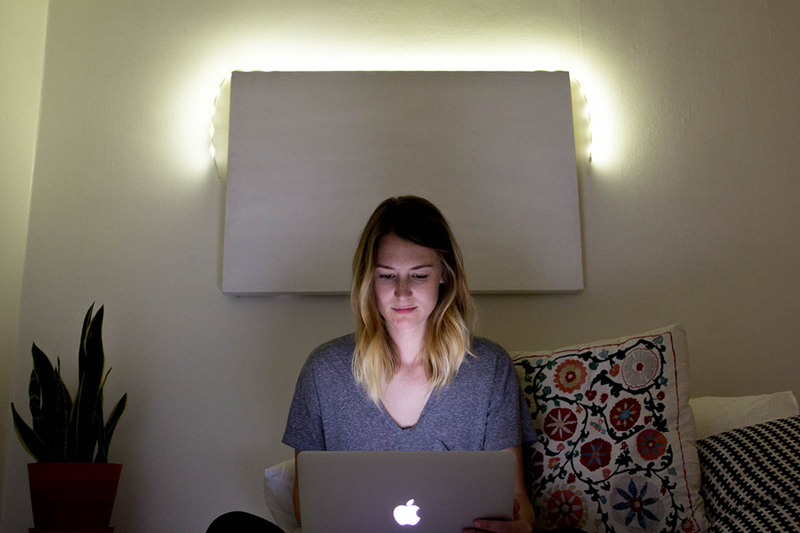 The Luminoodle is a durable 5 foot long strand filled with USB-powered LEDs. 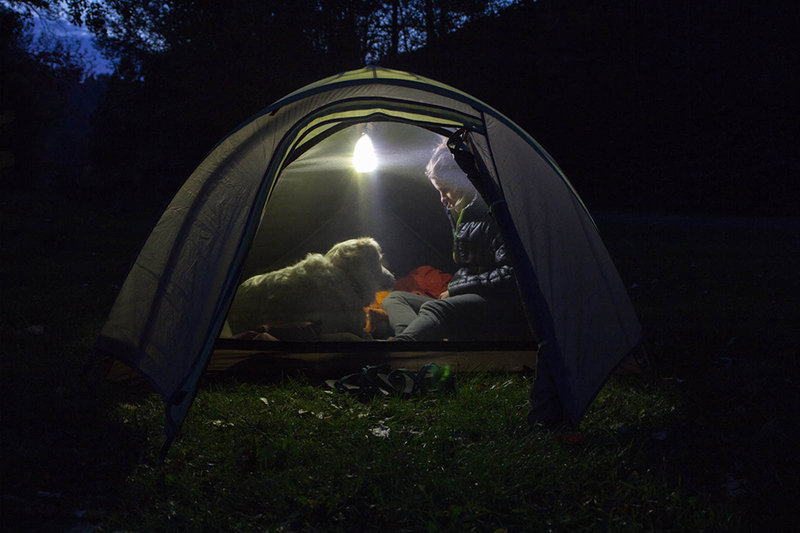 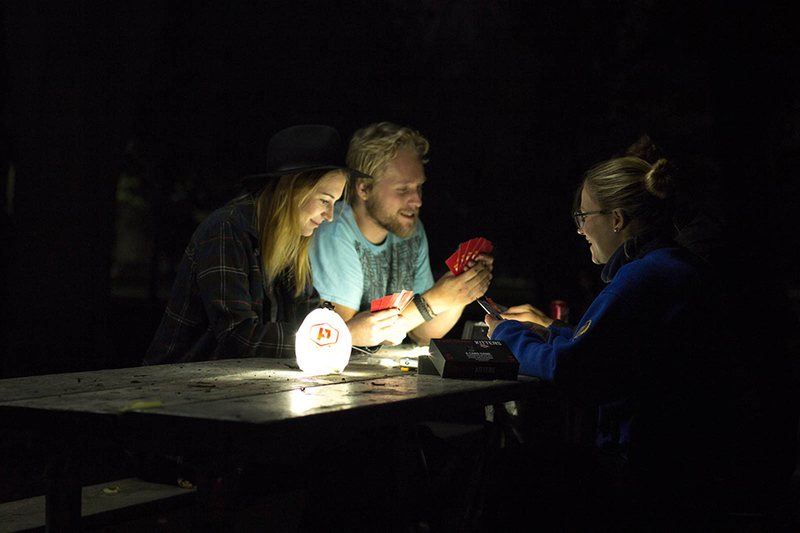 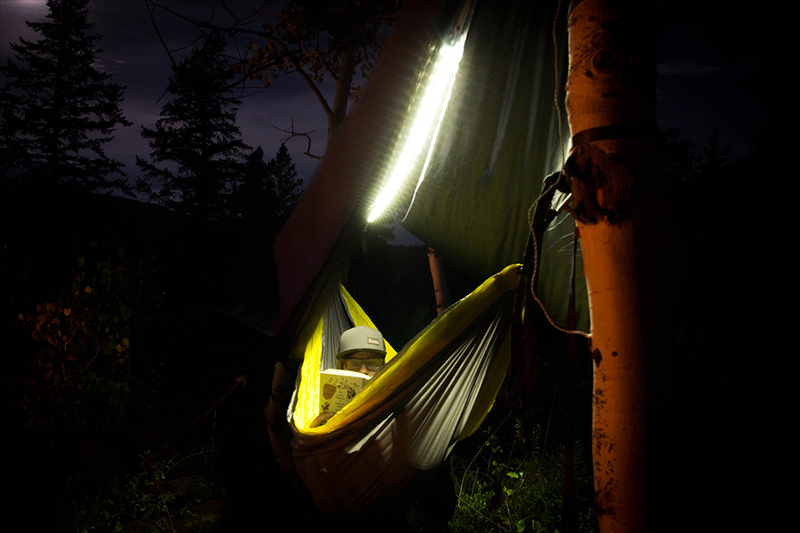 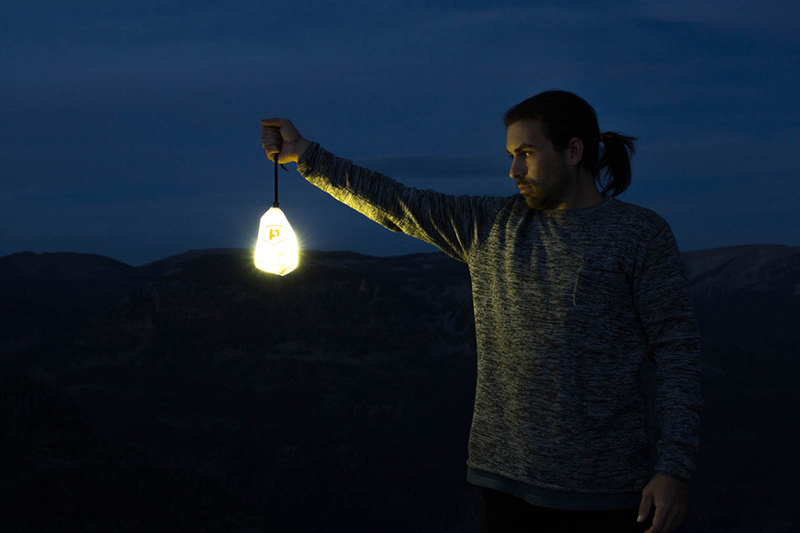 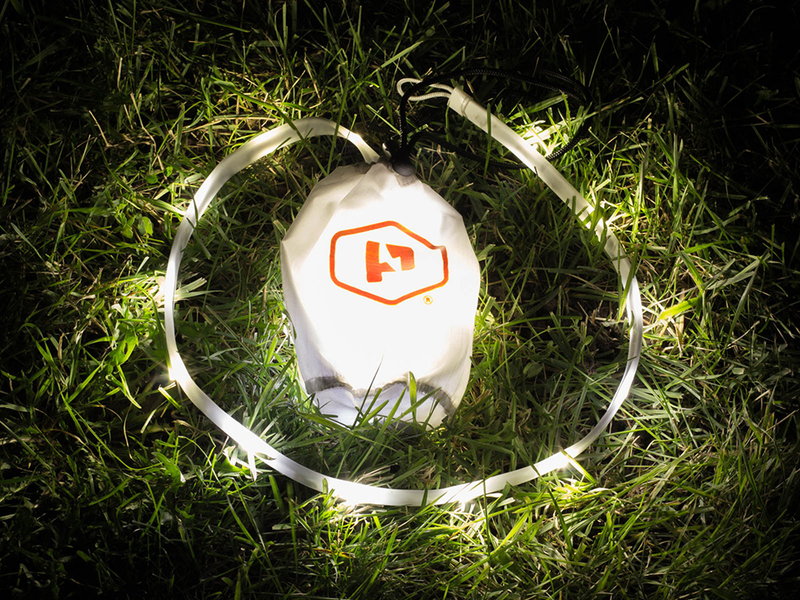 It provides up 180 lumens of light and comes with a ripstop pouch that you can combine with the Luminoodle to make a lantern. 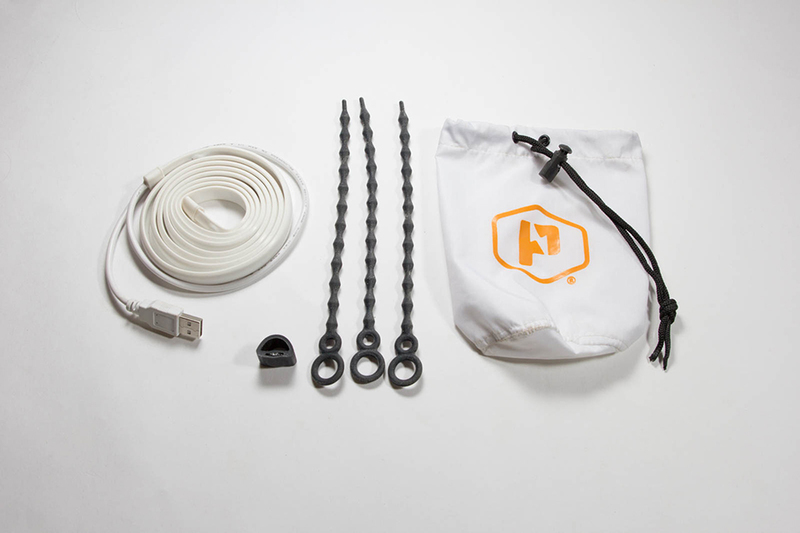 It has embedded magnets and comes with zip ties.